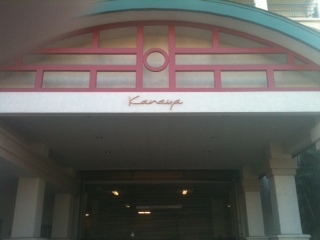 “Kanaya” is a luxury condominium in downtown Sarasota. Close to everything, and with plenty of active owners, there is a lot of “in and out” traffic through the lobby and entries. 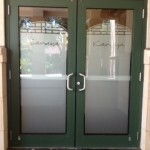 Smudging and fingerprints on the glass were becoming a real problem; with maintenance personnel constantly called to clean and maintain the appearance of the glass in the entry doors – several times a day! Some residents were also concerned with how easy it was to see into the lobby from the busy adjacent street, and called for a “non-intrusive” solution that would give them some sense of improved privacy. The Building Committee Chairman approached Solar-X of Sarasota for ideas. 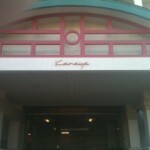 He knew of our reputation for creative solutions using films, and we approached the project with the idea of incorporating the oriental-style trim on the building into the design; creating a “shoji screen” theme in a translucent, frosted film that would not only give them improved privacy, it would also completely eliminate the smudging and fingerprints on the glass! The maintenance supervisor is ecstatic, the homeowners are happy with the improved appearance and the improved privacy – it’s a success all around! “Outside the box” thinking has kept Solar-X of Sarasota in a leadership position for nearly forty years. 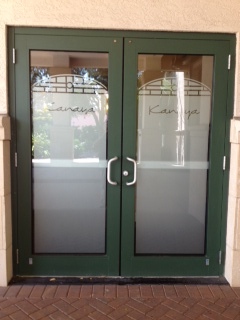 Whenever clients want top quality window films, such as SolarGard®, Panorama®, Armorcoat®; or hundreds of decorative films – even custom crafted window and door designs fabricated to our client’s specifications, Solar-X of Sarasota can be counted on to deliver total customer satisfaction in every detail. Installed with uncompromising attention to detail by the area’s finest craftsmen. Contact Solar-X for a consultation and estimate on your next project today. Rated “A+” by the Better Business Bureau.